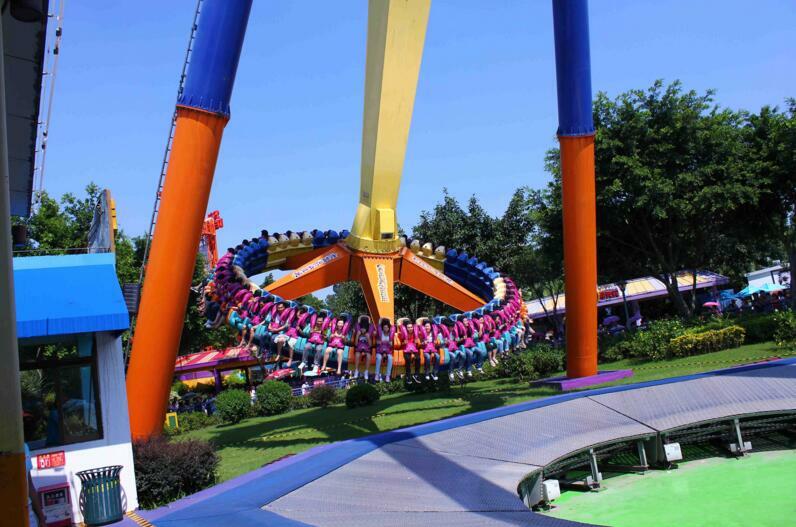 The giant frisbee is an amusement park ride that may be referred to by its other name of giant pendulum ride. 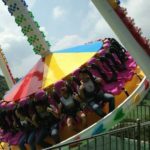 It has been classified as a highly thrilling ride providing that adrenaline rush many families seek at the local fair, theme park, or even circus. The ride looks a bit like this: imagine two support frames that have a large pendulum suspended in the middle, and the pendulum has a circular gondola attached to the bottom. The riders are seated on the bottom of the pendulum facing outward to experience the thrilling excitement this ride holds! The giant frisbee ride is not for the faint of heart, and not to be used for very young children. 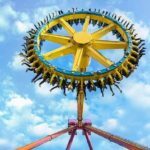 It is a ride that most amusement parks and fairs employ to keep visitors entertained by flying overhead to great heights and meshing the boundaries where earth and sky meet. As the ride is flying and swinging, the gondola portion also starts to rotate for additional excitement. 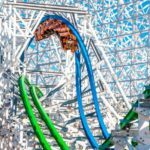 Though the ride is perfect for thrill seekers, make no mistake that its construction is perfectly safe. It features an innovative scientific design and it is manufactured from hardy materials that are guaranteed to withstand the wear and tear of the elements and the riders! 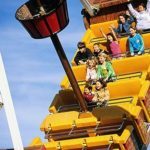 As one of the most substantial rides you can purchase, it is sure to catch the attention of all visitors. 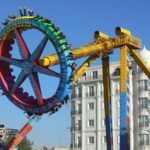 You can select pendulum rides with bright colors, interesting themes, and add attractive decorations throughout the structure. The best of all is that when you install this ride in a theme park setting, you can earn back what you spent and turn a quick profit. 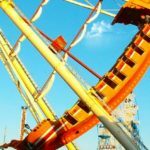 Most amusement park rides require little maintenance on your part as they bear a sturdy construction and are manufactured from hardy materials to stand up well against the elements. This means that your one-time investment can last for a decade or more. Most visitors that ride on the giant frisbee wish to experience the same adrenaline rush associated with fast roller coasters. However, the pendulum differs in that it’s instant satisfaction offering the same type of weightlessness that an astronaut would experience in space. Since the ride can seat over 15 people on average, it makes for an exciting environment filled with plenty of laughs, screams, and thrills. 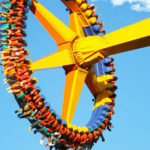 Amusement Parks Are Buying Up Spinning Rides Like Crazy!